Book your 2019 holiday villa with a €250 Early Bird Discount! Looking for a luxury villa on the Spanish Coast to celebrate your vacation? Relax? Chill? Re-charge your batteries? Spend time with your loved ones? Then Book Now with 250 Euro Discount! What a luxury: so many houses and options! You don’t have to go for a ‘second-choice villa’, as you are the first one to book! Club Villamar will greatly reward your early booking. 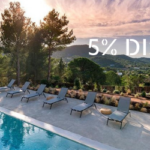 For a few days, we treat you to a € 250 Early Bird Discount on your 2019 dream villa. With all those benefits, you won’t have to think about it twice! 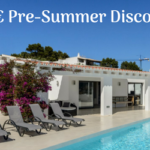 Choose your 2019 dream villa in Spain NOW and enjoy a € 250 Early Bird Discount! Click here! * Unfortunately this discount cannot be combined with any other discounts. The discount applies to a rental amount over €1.500 , and excludes additional costs. 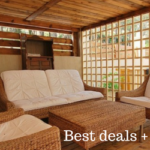 Applies only to villas located on the Costa Brava, Costa Maresme and Costa Dorada. Mention the discount code “EARLYBIRD250” in the remarks field, and we will make sure that you received the correct confirmation. This promotion expires soon!